"Affliction is able to drown out every earthly voice … but the voice of eternity within a man it cannot drown. When by the aid of affliction all irrelevant voices are brought to silence, it can be heard, this voice within." "My life is one great suffering, unknown and incomprehensible to all others." And it was out of this suffering that Søren Kierkegaard laid siege to the reigning European philosophy and the comfortable Christianity of his day. Kierkegaard was born in Copenhagen, into a strict Danish Lutheran home. He inherited a melancholy disposition from his father and suffered through an unhappy youth. His frail and slightly twisted frame made him an object of mockery throughout his life. Still, his father was sufficiently wealthy that Kierkegaard never had to hold down a job but was free to spend his life as a writer and philosopher. He attended the University of Copenhagen to prepare for the Lutheran ministry, but it took him ten years to earn his degree, and he never was ordained. It was philosophy, not theology, that captured his imagination. And Regine Olsen captured his heart. They became engaged, but Kierkegaard had doubts and quickly broke off the engagement, though he admitted he was still deeply in love. He was weighed down by his unusual consciousness of the complexities of the human mind, which he would never be able to communicate to Regine. As he wrote in his diary: "I was a thousand years too old for her." Years later he compared that painful decision with Abraham's willingness to sacrifice Isaac, and some of his books were written "because of her." His first book, Either/Or (1843), was a brilliant, dialectical, and poetic discussion in which he sought to justify his break with Regine, and in which set forth a basic tenet of his philosophy: each individual must choose—consciously and responsibly—among the alternatives life presents. He followed this up with other philosophical works: Fear and Trembling (1843), Philosophical Fragments (1844), The Concept of Dread (1844), and Concluding Unscientific Postscript to the Philosophical Fragment (1846). His target was the "system" (as he mockingly put it) of G.W.F. Hegel, the great philosopher of idealism. He attacked Hegel's attempt to systematize all of reality; Hegel, he said, left out the most important element of human experience: existence itself. Kierkegaard felt that no philosophical system could explain the human condition. The experience of reality—the loss of a loved one, the feelings of guilt and dread—was what mattered, not the "idea" of it. Hegel emphasized universals; Kierkegaard argued for decision and commitment. Hegel sought an objective theory of knowledge upon which everyone could agree; Kierkegaard believed in the subjectivity of truth—meaning that truth is understood and experienced individually. Existence, he believed, is actual, painful, and more important than "essence" or "idea." The authentic person wrestles with fundamental questions that cannot be answered rationally. As Kierkegaard once wrote, "My life has been brought to an impasse, I loathe existence…. Where am I? What is this thing called the world? What does this word mean? Who is it that has lured me into the thing and now leaves me there? Who am I? How did I come into the world? Why was I not consulted, why not made acquainted with its manners and customs? … How did I obtain an interest in it? Is it not a voluntary concern? And if I am to be compelled to take part in it, where is the director? Whither shall I turn with my complaint?" The only way to live in this painful existence is through faith. But to Kierkegaard, faith is not a mental conviction about doctrine, nor positive religious feelings, but a passionate commitment to God in the face of uncertainty. Faith is a risk (the "leap of faith"), an adventure that requires the denial of oneself. To choose faith is what brings authentic human existence. This is the "existentialism" that Kierkegaard is considered the founder of—though later existentialists had significantly different agendas than his. In his later writings—Works of Love (1847), Christian Discourses (1848), and Training in Christianity (1850)—he tried to clarify the true nature of Christianity. 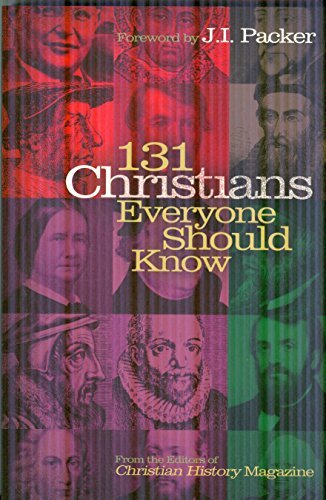 The greatest enemy of Christianity, he argued, was "Christendom"—the cultured and respectable Christianity of his day. The tragedy of easy Christianity is that existence has ceased to be an adventure and a constant risk in the presence of God but has become a form of morality and a doctrinal system. Its purpose is to simplify the matter of becoming a Christian. This is just paganism, "cheap" Christianity, with neither cost nor pain, Kierkegaard argued. It is like war games, in which armies move and there is a great deal of noise, but there is no real risk or pain—and no real victory. Kierkegaard believed the church of his day was merely "playing at Christianity." Kierkegaard became increasingly convinced that his calling was in "making Christianity difficult." He was to remind people of his day that to be truly Christian, one must become aware of the cost of faith and pay the price. So he chastised: "We are what is called a 'Christian' nation—but in such a sense that not a single one of us is in the character of the Christianity of the New Testament." And he mocked: "Most people believe that the Christian commandments (e.g., to love one's neighbor as oneself) are intentionally a little too severe, like putting the clock half an hour ahead to make sure of not being late in the morning." He believed that only by making things difficult—by helping people become aware of the pain, guilt, and feelings of dread that accompany even the life of faith—could he help Christians hear God again: "Affliction is able to drown out every earthly voice … but the voice of eternity within a man it cannot drown. When by the aid of affliction all irrelevant voices are brought to silence, it can be heard, this voice within." "Teach me, O God, not to torture myself, not to make a martyr out of myself through stifling reflection, but rather teach me to breathe deeply in faith." And "Father in Heaven, when the thought of Thee wakes in our hearts, let it not awaken like a frightened bird that flies about in dismay, but like a child waking from its sleep with a heavenly smile." Like his philosophy, then, he was himself paradoxical. St. Mugg's Wrestling Prophets, Part II: The "Weird Little Dane"
How a struggling soul built a bridge to Christ for those caught in the world's snares.